Back of Beyond Baking: Gluten free isn't always easy! This weekend saw another trip to the city, this time so my son could go to his first Championship football match, courtesy of a football supporting friend of ours. My darling girlfriend Gem had offered us a bed for the night so I figured the least I could do was whip up a gluten free treat to take along. 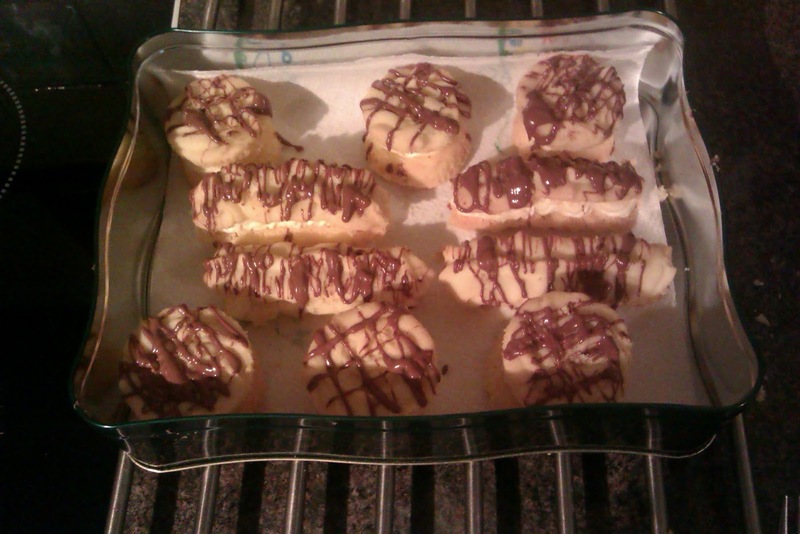 I remembered that Gem had mentioned having a go at Viennese whirls. We had had a lovely reminiscing session discussing our respective childhood trips to the bakers for Viennese whirls with butter cream filling and chocolate coverings. As the normal recipe tasted a bit like the shortbread I make (and that transfers to a gluten free recipe with no fuss), the only change is gluten free flour for plain flour, I thought this would be similar. Big mistake! Biscuits need gluten to make them less crumbly and more manageable. The mixture looked and felt the same as the normal Viennese mixture so I initially piped it in the same way as I had piped my normal mixture. Thankfully I had only put half the biscuits into the oven due to baking tray and oven space limitations because when they came out of the oven and I attempted to handle them they crumbled like dry sandcastles. I was pretty stressed out by the time I had tried and failed to transfer the biscuits to the cooling racks and a few choice words were uttered!! The second batch I piped significantly thicker and piped some into cupcake cases to help hold them together through the cooking and cooling. 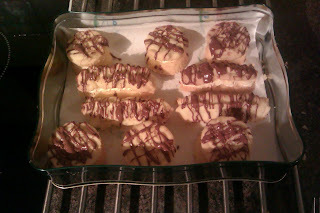 These were more manageable and allowed me to move them and sandwich them together with the butter cream. But they were still significantly more fragile than the normal variety. The transportation of the biscuits 140miles to Gem's place was pretty fraught and I finally started breathing again once the biscuits were handed over and had survived the journey in one piece. I have listed Xantham gum into the recipe and that will make them easier to manage. Place all the ingredients into a food processor with the metal blade . If you don't have a food processor then a mixing bowl with an electric mixer. Mix the ingredients to a paste and then stop. You don’t want to add too much air. For the classic look of the biscuit place the paste into a piping bag with a star nozzle and pipe the mixture out onto non-stick baking parchment . Bake the biscuits at 170°c for 15 minutes until lightly golden brown, then place them onto a wire rack to cool to room temperature. Beat together buttercream ingredients until a soft light buttercream is achieved. Pipe the buttercream onto one of the biscuits and sandwich another biscuit on top. Melt the chocolate and drizzle across the biscuits. Leave to set. I may well take you up on that one!